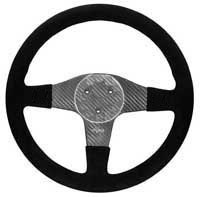 Nardi / Personal drilling: The PCD (Pitch Circle Diameter) centre drilling is 74mm and consists of 6 holes placed at 1, 3, 5, 7, 9, 11 O’clock. 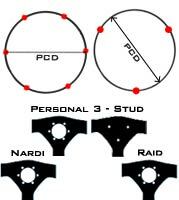 3 Stud drilling: The PCD (Pitch Circle Diameter) centre drilling is 50.8mm and consists of 3 holes placed at 2, 6 and 10 O’clock. 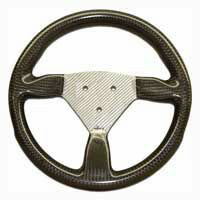 Some examples of fitted steering wheels are available in the gallery. 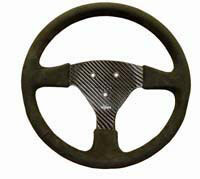 If you have any questions about our steering wheels or any of our products please feel free to contact us.